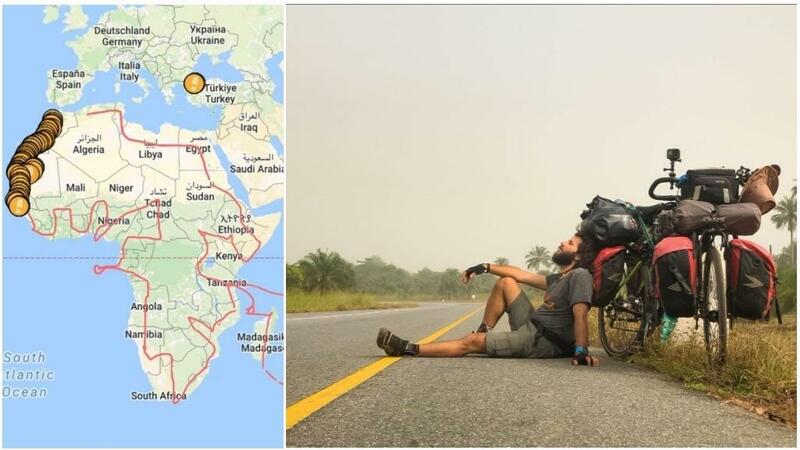 Over the past year and a half, 35-year-old Hasan Söylemez has been exploring the African continent on his bicycle. The Turkish cyclist has travelled from the Sahara desert to the forests of West Africa, stopping by shanty towns in Sierra Leone and Liberia on his way. His aim is to show another, more positive and hopeful side of Africa, one that’s a far cry from the often depressing news cycle coming out of the continent. Hasan Söylemez, a Turkish journalist and documentary filmmaker, began his journey in Morocco in January 2017. From there, he plans to visit all 54 countries on the continent – an immense task that he hopes to complete within five years. He’s now reached Ouagadougou in Burkina Faso, having already travelled 8,500 kilometres and visited 12 countries.